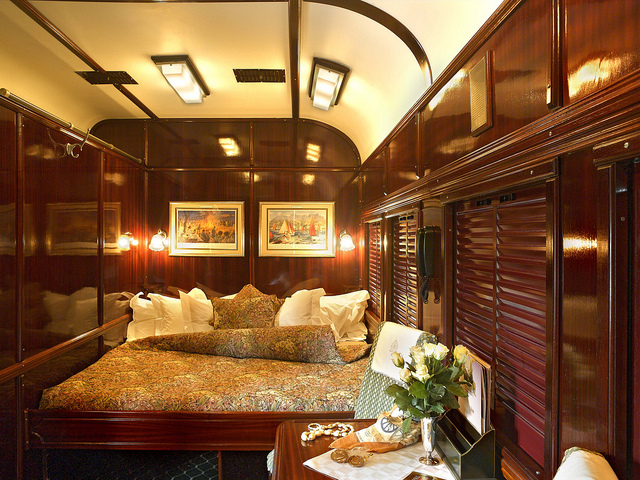 A steam train that gives the opportunity to those interested in travel throughout southern Africa, is considered to be the most luxurious train in the world. 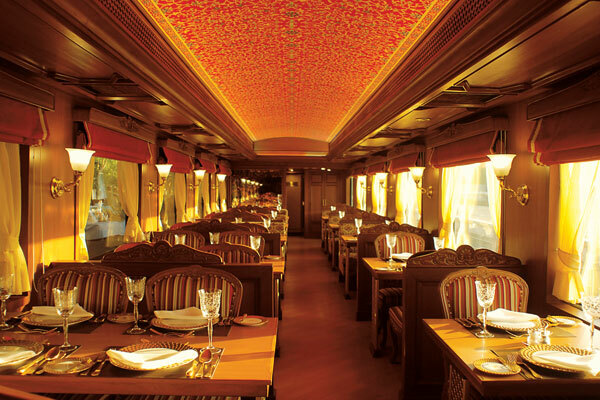 The train sets are equipped with luxury apartments, but without access to the Internet. 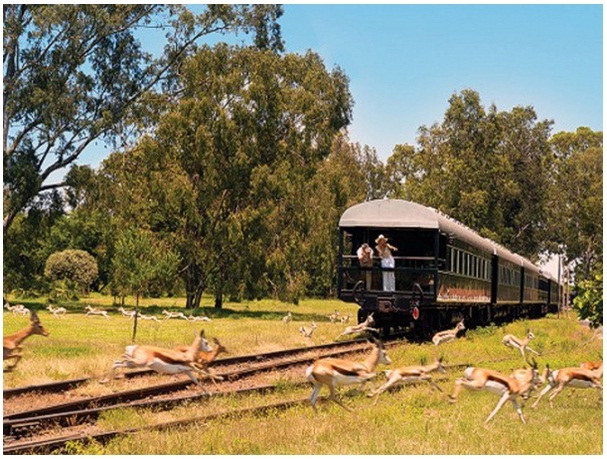 The train departs from the Rovos station, Pretoria, the capital of South Africa, and the atmosphere at the station is a special one: no one huddle and before the train departure passengers drink a glass of champagne. 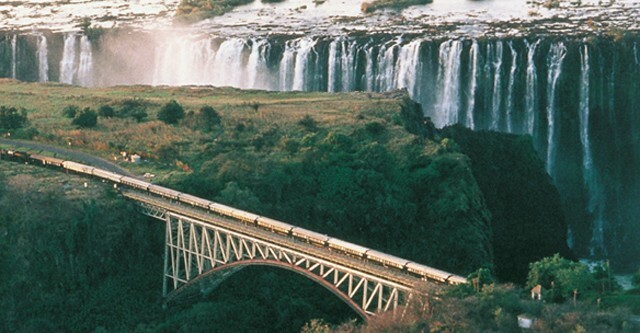 Passengers will travel between the cities of Pretoria and Durban through the natural reserve Nambiti Conservancy, where they will have the opportunity to participate at a five-star safari, then up at Victoria falls in Zimbabwe, Botswana and Hwange National Park. The trip ends after three days in Cape Town. Passengers have at their disposal all the comforts. In the luxury apartment (Royal Suite) there is a double bed, armchairs and a victorian style bath, providing a beautiful view of the African savannah. 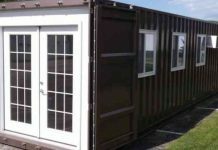 The cost of such an apartment is $ 2,570 per person, but there are also smaller cabins, like Pullman and Deluxe Suite, which have lower prices. In addition, the train keeps the air of yesteryear, because there are no TVs and no Wi-Fi. The use of mobile phones is discouraged, and passengers can use the laptops just in their personal cubicles. “We don’t want our passengers to work on the train. 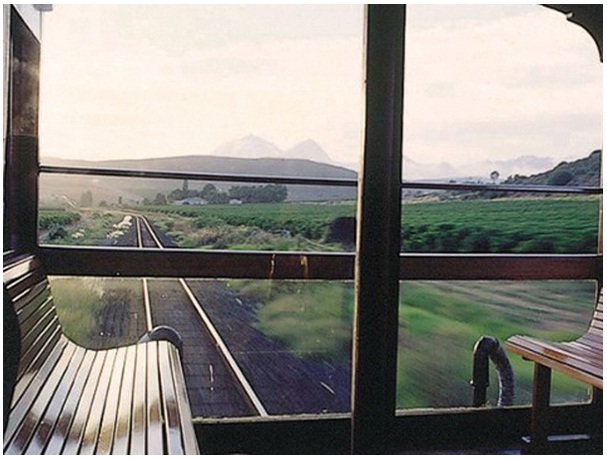 It’s all about relaxed atmosphere and good conversation in this train”, says Rohan Vos, founder of the Rovos company. At the end of the train, there is a special place, where travelers can admire the imposing landscapes.